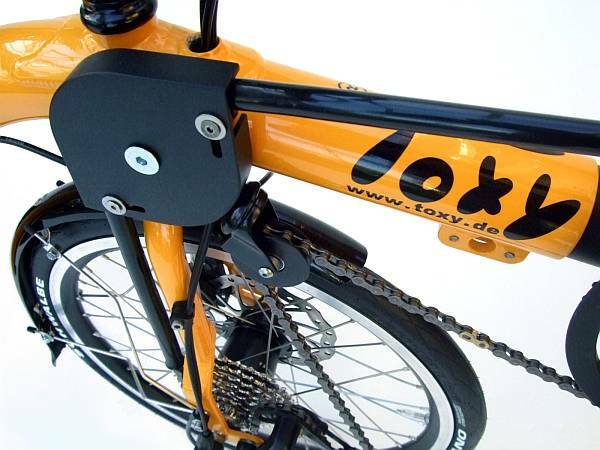 Chain protection set for Toxy-ZR front wheel drive; including chain roll housing and adjustable chain tubes for cleaner ZR rides & commuting. Pre-assembled kit, fits for all ZR models starting 2006. Adjustable alloy stem (hight and angle) for front fairing. Lift the front fairing while entering your Toxy. Clipless touring System VP, 2-in-1-type (incl. cleats) - Allows you to bring in your legs´weight while your muscles relax. There is no bike, where it is more effective to use clipless pedals than recumbents!